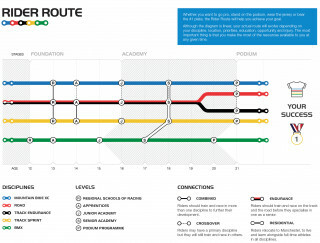 The Rider Route – helping the most promising riders become the stars of world and Olympic cycling. 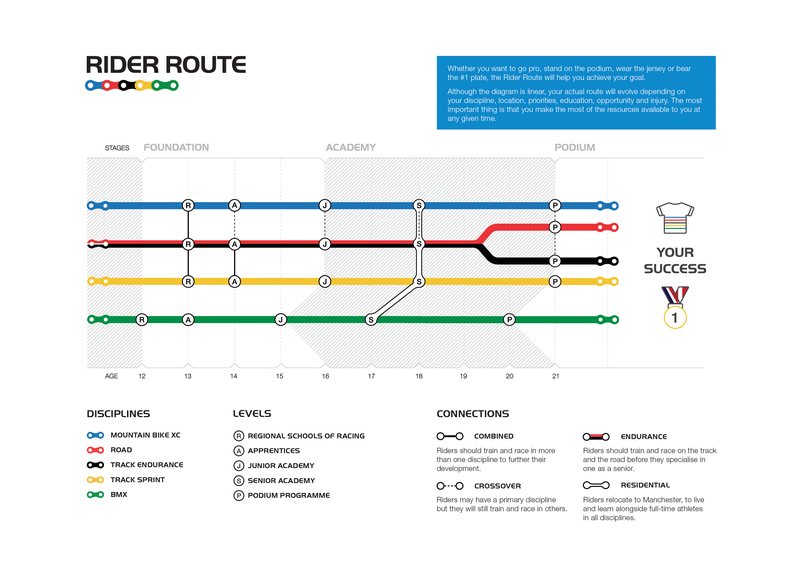 Click the below image to view a full-size rider route. Here we identify and develop bike riders aged 13 to 15 to create a pool of athletes that are ready for the academy. 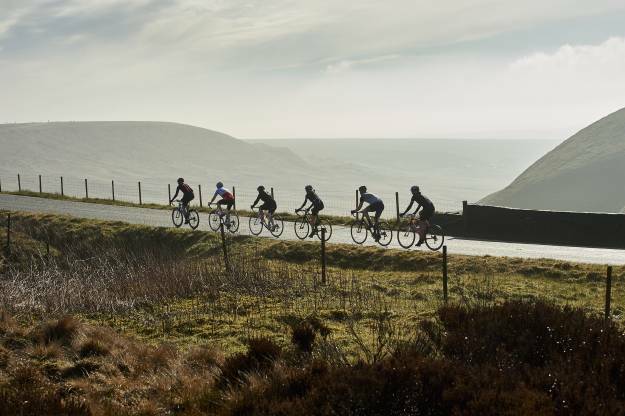 This is about constructing the ‘building blocks’ that will be required for the route to becoming a member of the Great Britain Cycling Team (GBCT). This is where we begin to invest more heavily in developing those riders that are showing the most promise. The GBCT supports around 100 apprentices nationally at this level, and those awarded this status should be aiming to graduate onto the Academy. From 15 to 21 we focus on intensively developing the country’s best young riders. Refining on what has already been learnt, the aim is to support the transition to becoming a senior bike rider, and ready to graduate to the Podium Programme. The Junior Academy is focused on developing the country’s best junior riders, ensuring that they are ready for life as full-time athletes. This will include opportunities to race at international competitions in preparation for riding in major events at a senior level. The Senior Academy is the ultimate ‘finishing school’. The aim is simple: to fine-tune athletes and ensure they are ready to dominate the top-step of world and Olympic race podiums in the future. The pinnacle of the performance pathway, the Olympic Podium Programme is dedicated to supporting highly-skilled elite cyclists as they aim to win medals in major competitions, such as world championships and Olympic Games.